CIOs face a number of challenges, from day-to-day tasks, to wider issues around guiding their organisation successfully through digital transformation. According to Gartner, the top five CIO issues include skills and resources; funding and budgets; culture and structure of the organisation; IT business alignment; and technology challenges. When it comes to technology CIOs must navigate the muddy waters of legacy infrastructure and the investment in existing tech, security, managing resources, integration and optimising their IT estate. Plus, they need to ensure their organisation is using the right tech, or mix of solutions that will help them remain competitive and delivering the level of customer service and or experience that is expected. Again, all the while driving digital transformation. So why talk about hybrid cloud? Because, according to research by IDG Research Services, hybrid cloud may actually enable digital transformation. And more than that, hybrid cloud can solve many issues that CIOs are facing in the technology space. Of course cloud isn’t necessarily the answer to everything and shouldn’t be seen as such. However, there is no denying the benefits of hybrid cloud – from cost savings (reducing capex, and maximising the current investment in tech) to increased flexibility, meeting compliance requirements and better scalability. The hybrid approach incorporates a number of hosting models, whether that is on-premise, public or private cloud. As a result, organisations can leverage the IT estate they already have, while integrating new services and phasing out tech if needed. The key thing here is that workloads can be moved between the models to makes sure goals are met and resources are being effectively used. 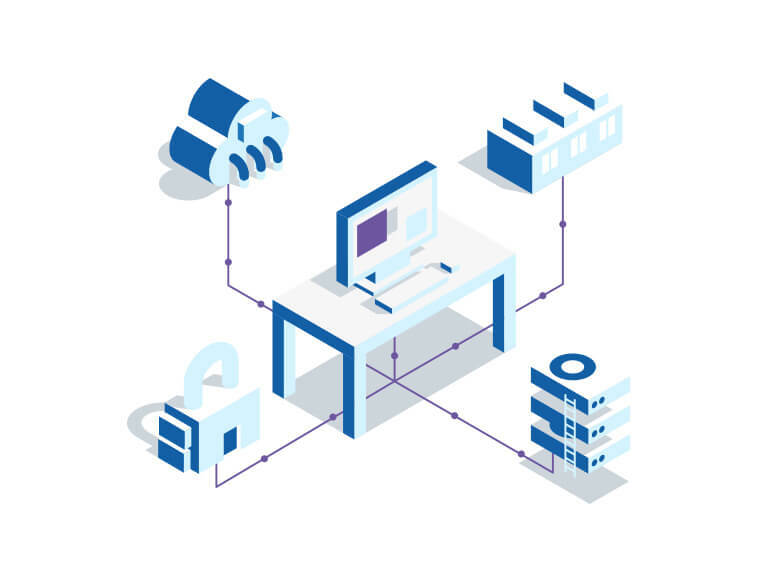 In much the same way data security can be improved – businesses can keep their critical data, like customer financial data on-premise or in a private cloud environment to meet compliance requirements, taking advantage of a cloud provider’s expertise and security resources, while keeping less critical information in the public cloud. When it comes to interoperability and integration, the right cloud partner can help – it can manage other cloud vendors and advise on the best way to control all cloud resources. Hybrid cloud vendors generally have the resources, such as infrastructure, networks, connectivity and datacentre sites, in place to provide resilience, redundancy options, and additional cloud services, like disaster recovery, back up and overall business continuity. The answer to the CIO’s technology issues may be hybrid cloud, but a large part of that answer relies on the choosing the right cloud provider. And, coupled with its ability to enable digital transformation, it’s clear that CIOs have a powerful set of resources to rely on in helping them meet their objectives. For more information on digital transformation, the digital economy and the role of hybrid cloud, read our whitepaper.